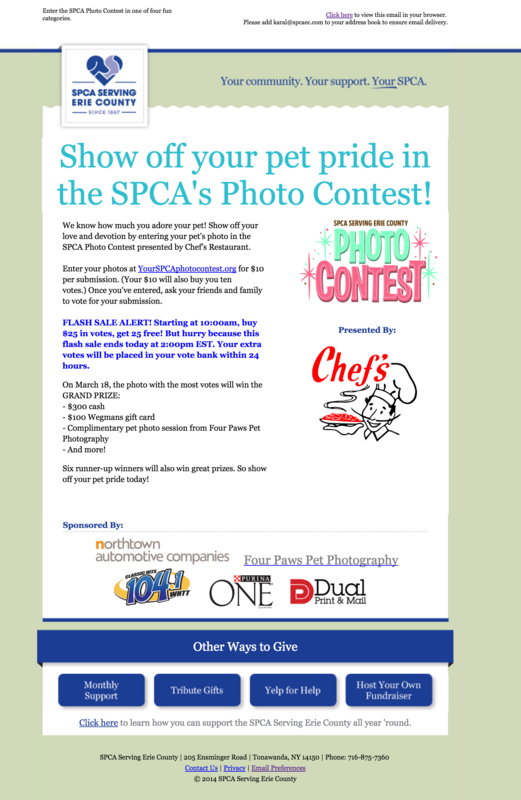 They have already shown previous interest in participating in a photo contest fundraiser held by your organization. Once the report has loaded, click Export to CSV at the top of the screen to download the spreadsheet file. From there, you can use your spreadsheet software to copy the column of email addresses. If you'd rather promote your contest to just previous entrants (versus all previous contest participants, which includes entrants and voters), you can find those email addresses within the Participants (Entrants Only) report. Compose your email blast. Here's an excellent example from a previous client: View Here.